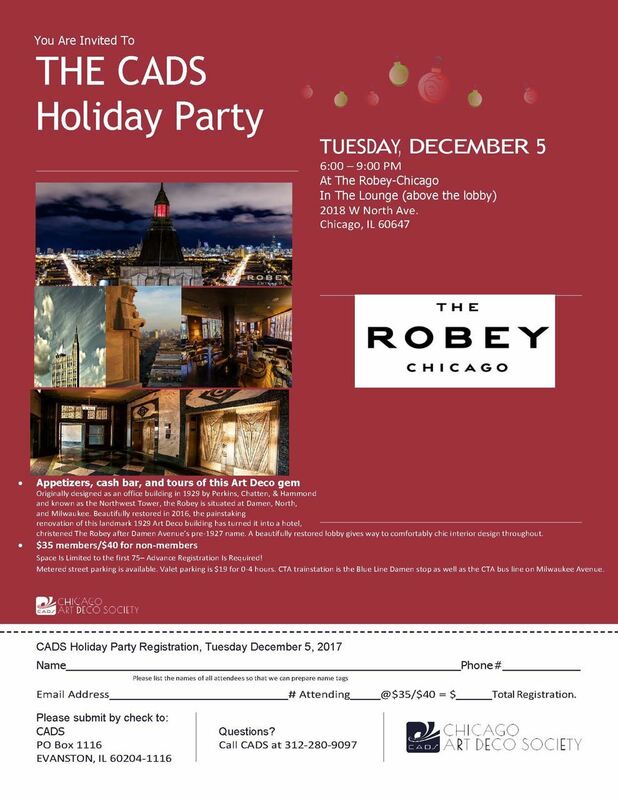 Join us at The Robey Chicago for appetizers, cash bar, and tours of this Art Deco gem. Originally designed as an office building in 1929 by Perkins, Chatten, & Hammond and known as the Northwest Tower, the Robey is situated at Damen, North,and Milwaukee. Beautifully restored in 2016, the painstaking renovation of this landmark 1929 Art Deco building has turned it into a hotel,christened The Robey after Damen Avenue’s pre-1927 name. A beautifully restored lobby gives way to comfortably chic interior design throughout.